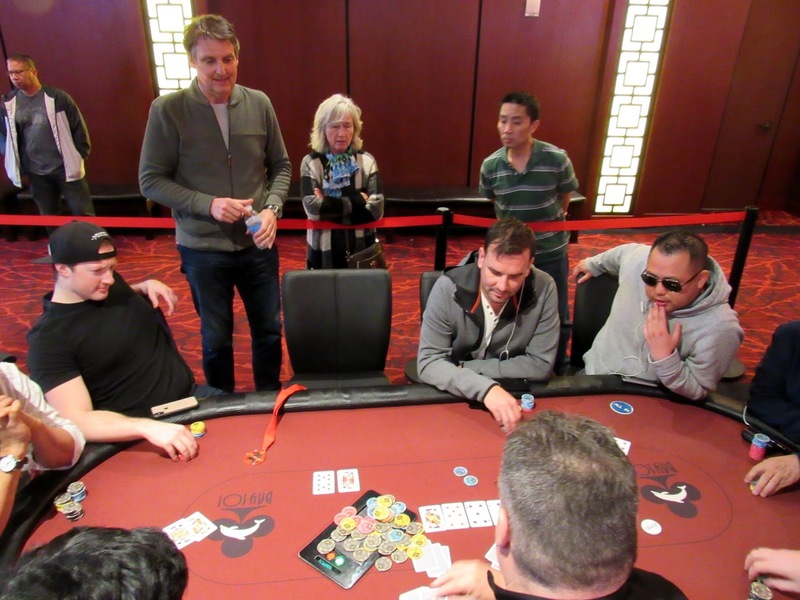 Day 1 at the Bay 101 Shooting Star $5,200 no-limit hold'em Main Event has come to a close with 186 players advancing to Day 2 on Tuesday from 440 entries. There are 20 Shooting Star bounties among the group of survivors. 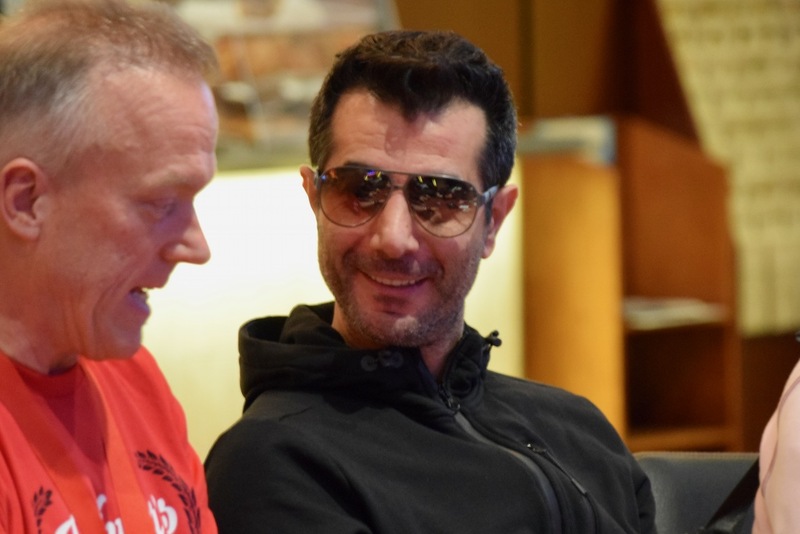 The chip leader at the end of play is Francis Pezzullo with 469,000. He cruised away from the field during the late stages of the day, and he took out Shooting Star Maria Konnikova on his rise to the top of the standings. 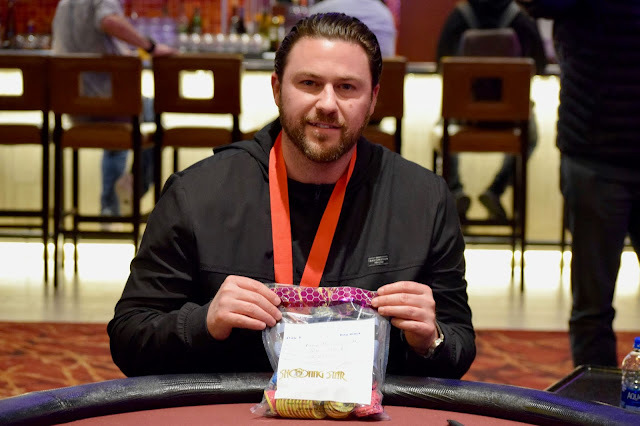 Other top stacks were bagged up by Brian Altman (255,000), Sandeep Pulusani (243,000), Upeshka De Silva (223,500), Jon Turner (223,000), Dan Shak (222,500), and Anthony Dicato (217,000). The Shooting Stars that didn't make it through the day were Chamath Palihapitiya, Dan Smith, Erik Seidel, Kelly Minkin, Kitty Kuo, Lon McEachern, Marle Cordeiro, Maria Konnikova, Matt Salsberg, and Tyler Patterson. Day 2 will resume at 10:00 am on Tuesday, and that is when the field will return to continue their march down to the money. 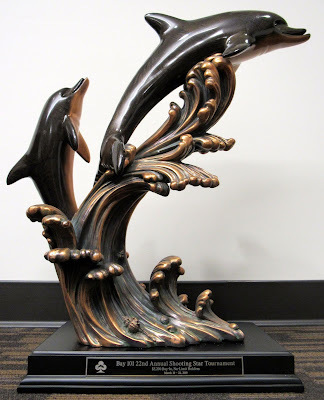 Tune back in tomorrow for live updates, chip counts, and photos from the Bay 101 Casino in San Jose, California. The field was just informed that they will play five more hands before the end of play. Stay tuned for chip counts and a recap of the day. Shooting Star Maria Konnikova is all in preflop on a short stack with [Kh][Qd] in the hole UTG+1, and Francis Pezzullo has her covered holding [8d][8h]. 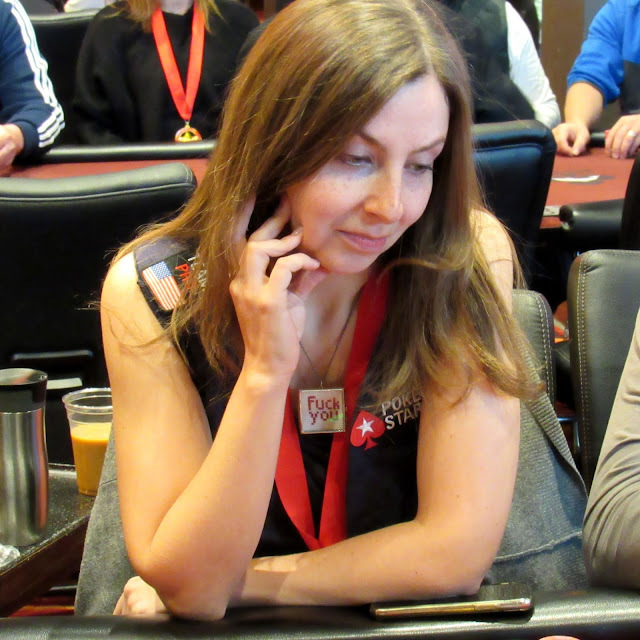 The board brings no help for Konnikova, and she is eliminated on the hand. 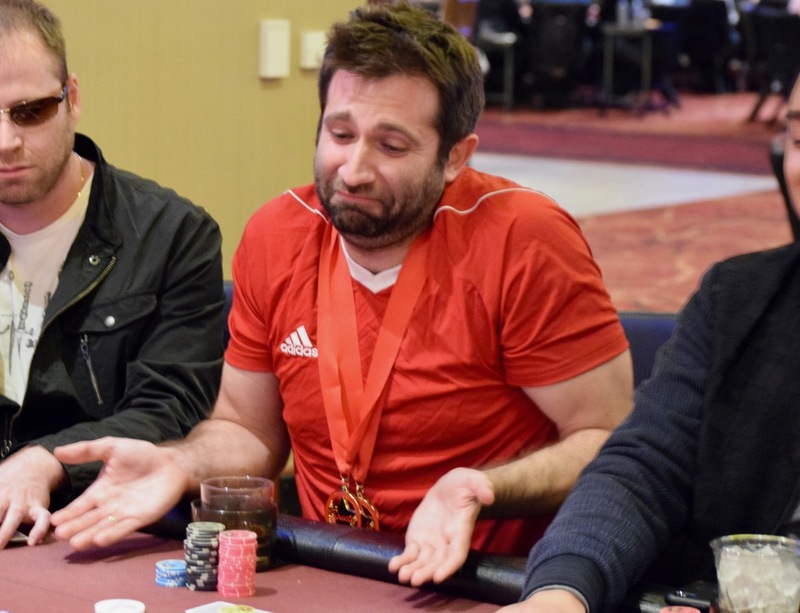 Pezzullo increases his chip lead to 487,000 after the hand. 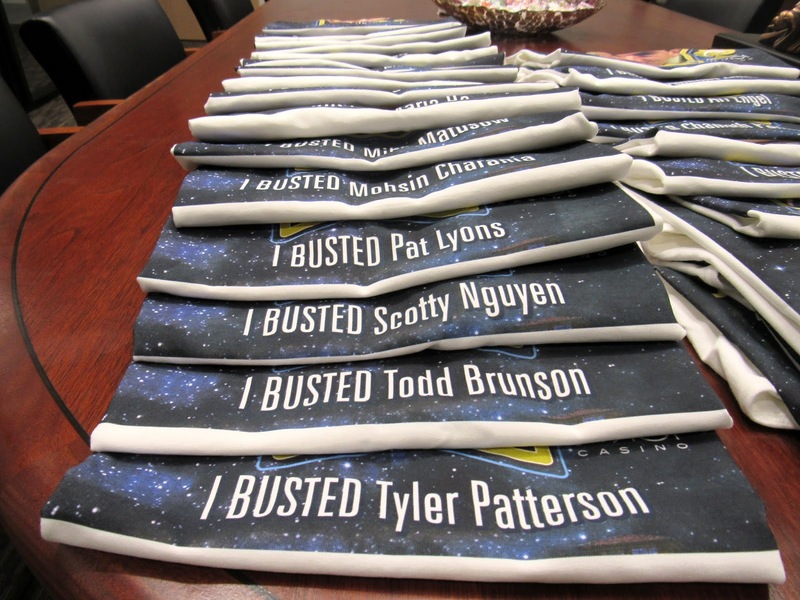 Shooting Star Todd Brunson is all in for 50,000, and Ian Kalman has him covered. Here is a look at their cards. Brunson doubles up to survive with 100,000, and Kalman is down to 41,000 after the hand. Last week, a few hours up the road from here, Erkut 'Eric' Yilmaz snagged his second WPT title of the season with his $303k cash at Thunder Valley. He's chipping up in the final two levels today, up to a room-leading 255,000 after his [As][Ah] faces off against a challenger's [Ad][Kd]. The [6d][9d][Qc] flop and [Kh] turn gave plenty of Aces-Cracked outs, but the river went [7c]. One of the three newest WPT champions - Frank Stepuchin - has become infamous for gnawing on a forked chicken wing at the poker table, along with more than a few rather colorful exaltations. 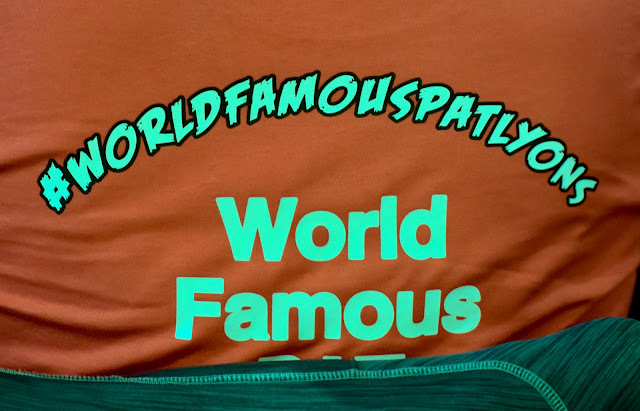 Don't believe us, we have winged proof (above). The chicken wing found its way to a nearby receptacle after a few bites, however, for the aroma was a bit overwhelming for Loni Harwood, seated to Stepuchin's left. [6s][9c][6h] gives Kuo and the challenger two pair, a backdoor flush draw for Stapes. [4h] turn and Stapes is one away from a runner-runner runout. 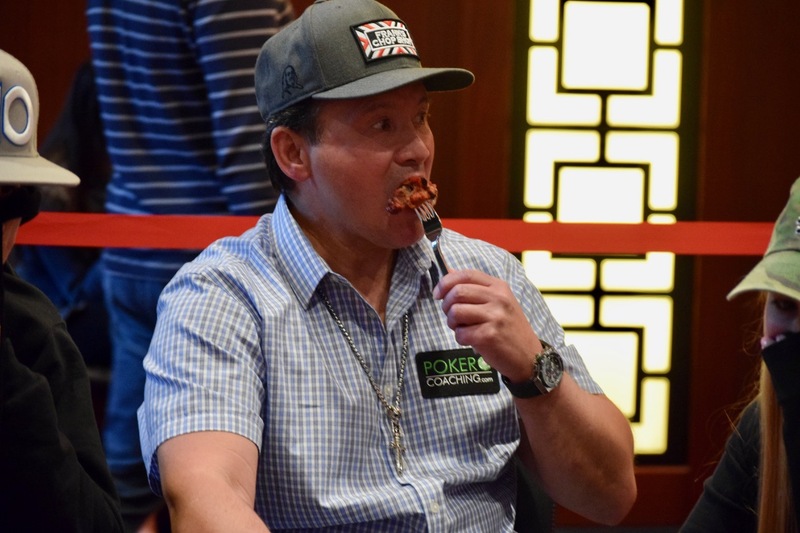 Runout complete with the [5h] and Kuo's bounty goes to Stapes, who also collects 110,000 in chips. 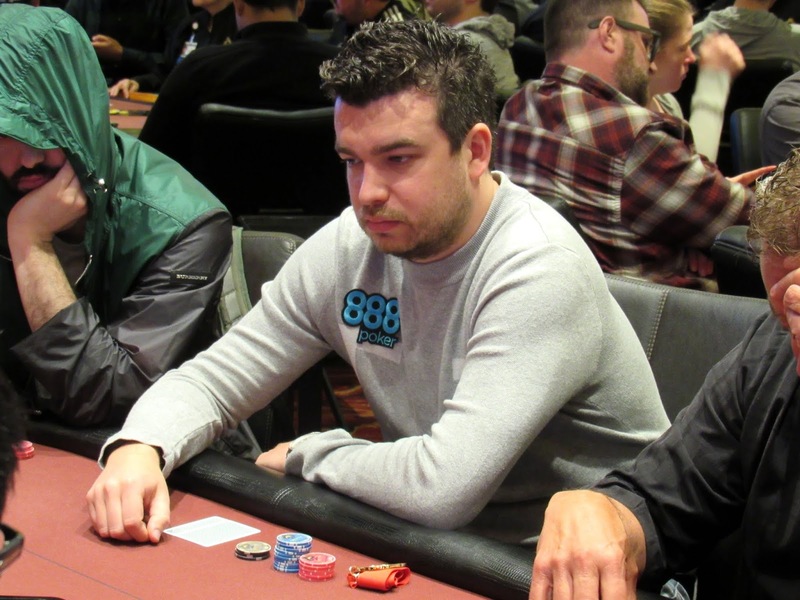 The big blind is all in, and Shooting Star Chris Moorman has him covered UTG+1. Here is a look at their cards. 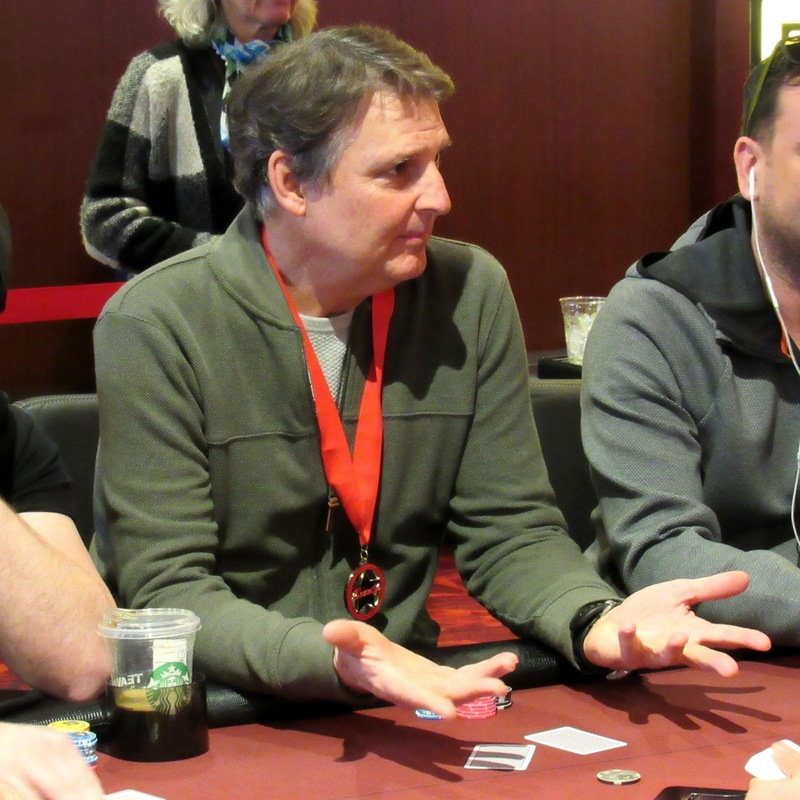 The big blind is eliminated, and Moorman stacks up 120,500 after the hand. The players are taking their last 15-minute break of the night. 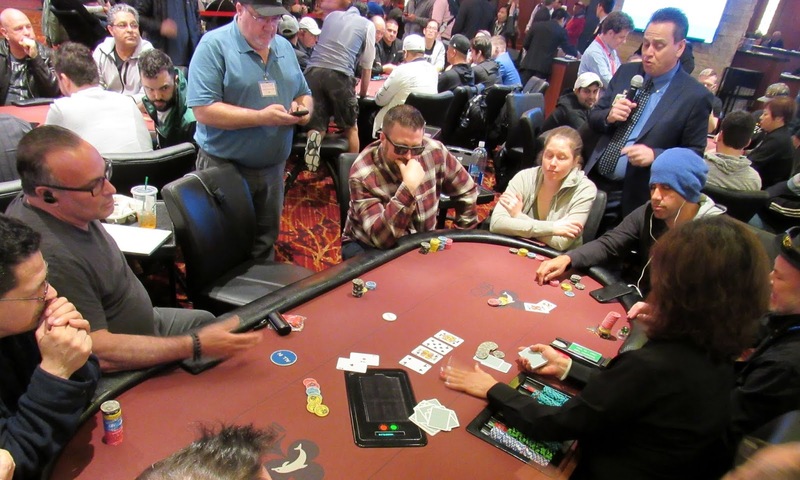 Here's a look across tables 25-36 and chip counts from a handful of the players scattered among those tables. 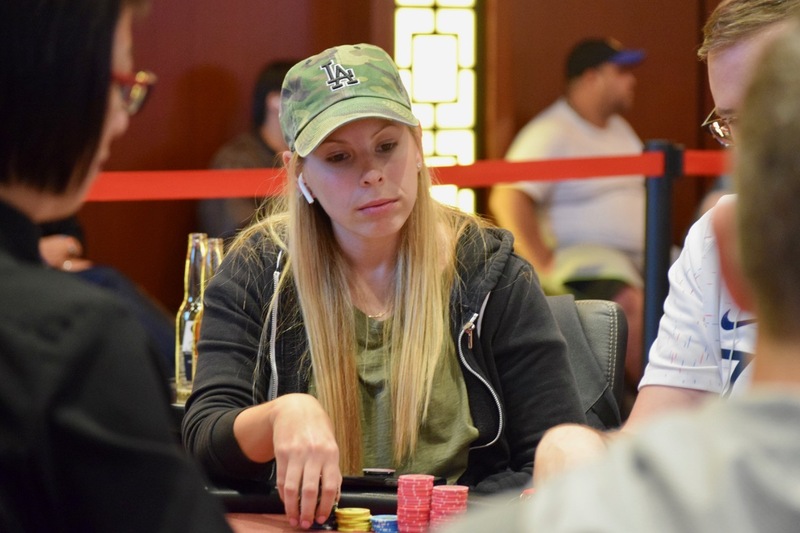 Loni Harwood's 195,000 leads this part of the tournament area. Not long after doubling up Jesse Sylvia, Mike Sowers is in another big pot, this time with Nick Pupillo. 14,000 from Pupillo on the turn - the board reading [Ts][As][Tc][8h] and a call from Sowers. 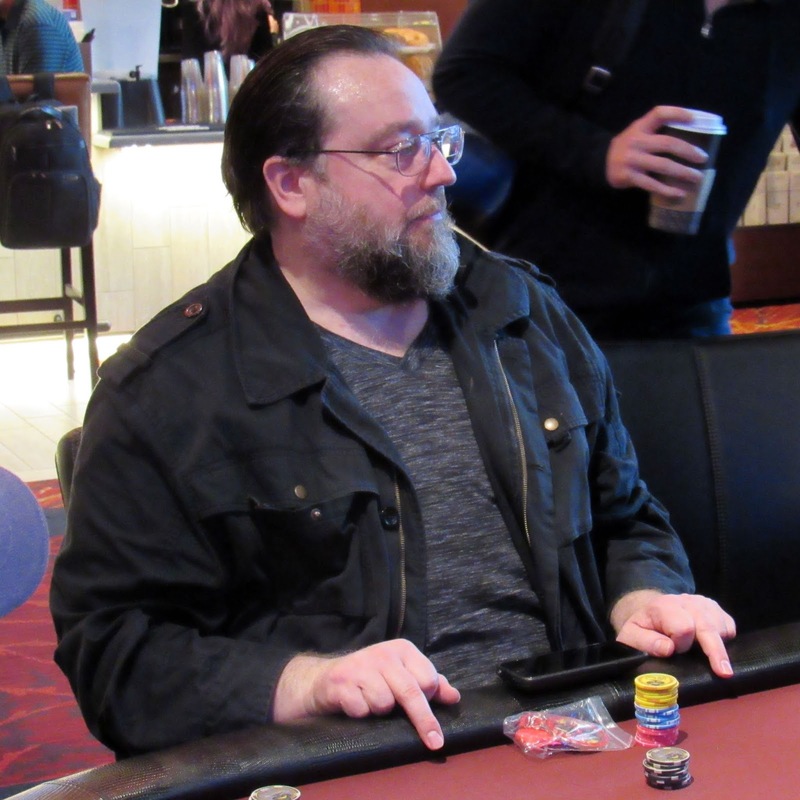 River is [4d], Pupillo moves in for his last 27,800 and Sowers snap-calls. 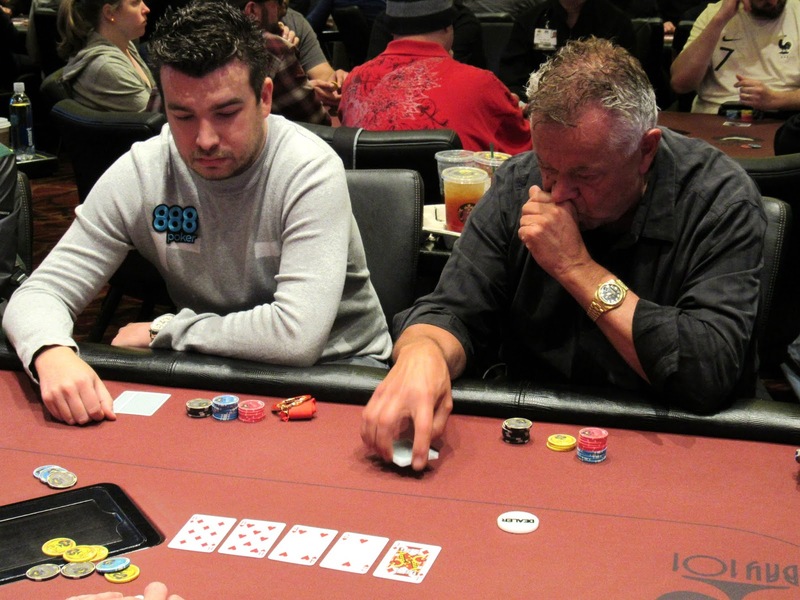 All in preflop for 58,200, Jesse Sylvia's [Qs][Qc] is up against the AK of Mike Sowers. [8h][6d][2d][Jd][3s] goes the board and Sylvia moves to 118,000. 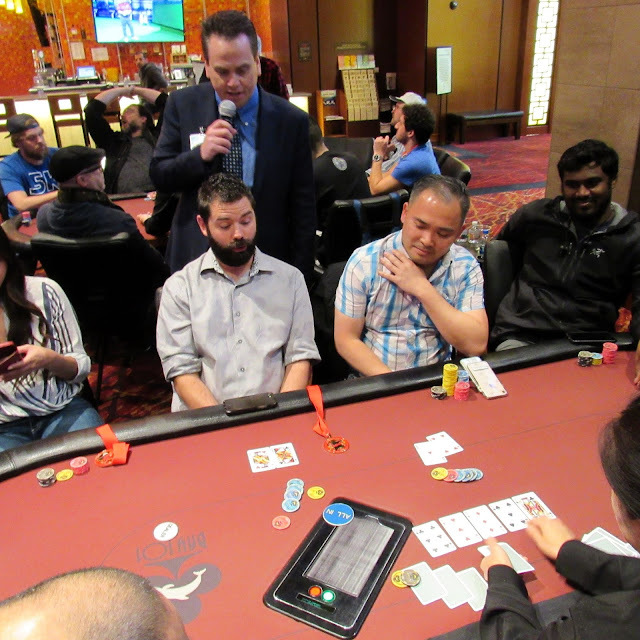 Kitty Kuo was all in holding [Ac][6s] and was in bad shape against her opponent's [Kh][Qs] as the flop read [Qs][Kc][7c]. The [Kd] turn sealed her fate, and when the [8s] hit the river Kitty took off her bounty medallion and slid it across the table to her opponent. Tyler Patterson was all in holding [Qc][Jh] against his opponent's [Ah][4h]. Tyler was smiling as he took a picture with his opponent while waiting for tournament director Matt Savage to arrive. Another player joked that now a jack would certainly fall since a photo was taken. The [6c][3h][3d] flop failed to bring said jack, and the [5s] turn meant Tyler was one card away from elimination. The [Jc] fell on the river to give Tyler the winning hand and prove the prophecy true. Tyler now sits on 19,600 in chips. Lon McEachern was all in on a [Jh][7h][5s] flop holding [Jc][Tc] for top pair. Unfortunately for him, one of his opponents had [Kh][Js] for a better kicker, while a second opponent held [9h][6h] for a straight and flush draw. Lon would need to get very lucky to survive. The [2s] on the turn changed nothing and the [8c] on the river gave his second opponent a straight. 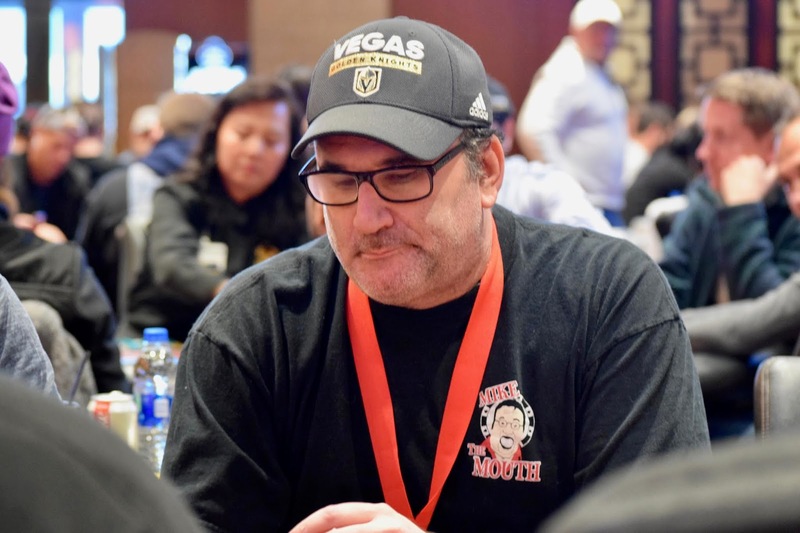 Shooting Star Lon McEachern is all in preflop for 8,000 from the small blind, and Mike Del Vecchio calls to cover him on the button. The two players then flip over their cards. McEachern doubles up to survive with 17,500, and Del Vecchio is at 39,400 after the hand. 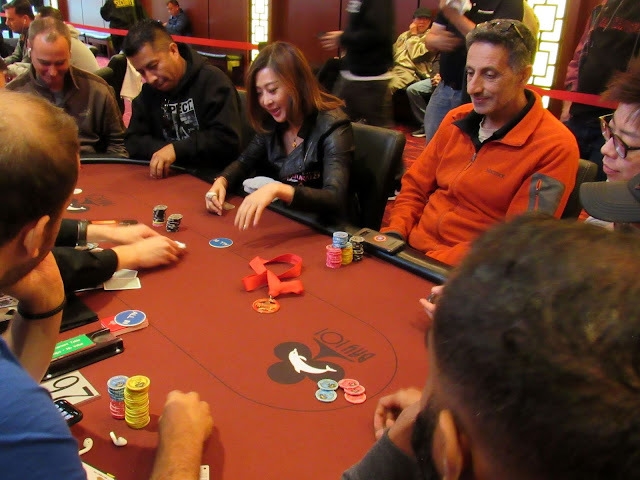 Shooting Star Maria Ho is all in preflop for 3,300 from the cutoff, and four players call. The flop is dealt [10c][5h][2h], and Marc MacDonnell bets 5,500 from the button. 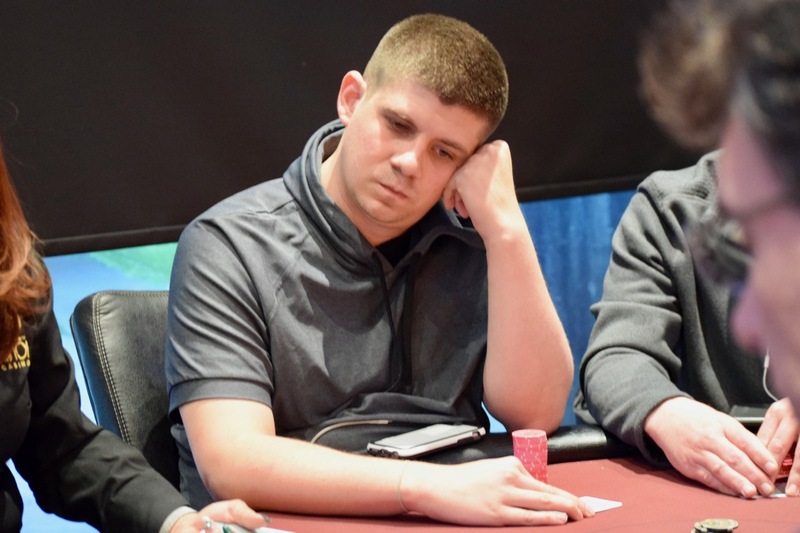 The two blinds call, and Jordan Cristos folds from middle position. The turn brings the [7h], and all three live players check to the [2d] on the river. MacDonnell bets 21,000, and both blinds fold. Ho holds pocket kings, but MacDonnell reveals [7s][7d] for a full house. Ho is eliminated, and MacDonnell stacks up 82,000. 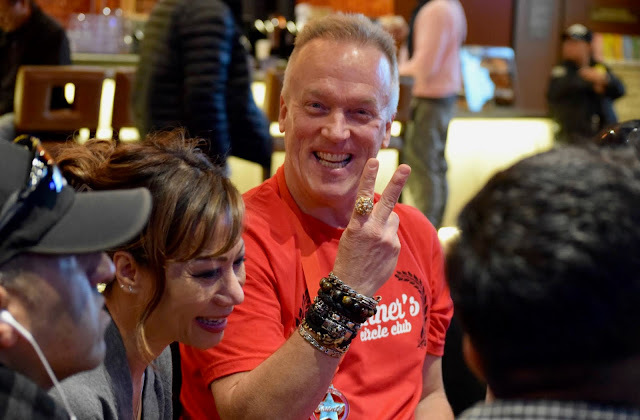 Shooting Star Pat Lyons is all in for his last 25,000 on the [5s][5h][Js] flop on a flush draw with his [As][Qs], called by the top pair [Jd][9d] of Elisa Nakagawa - who won her way in via a satellite. Lyons hits the [2s] on the turn to get a full double.Just in case there's someone unsure about the title, it even says so on the back of Lyons' shirt. 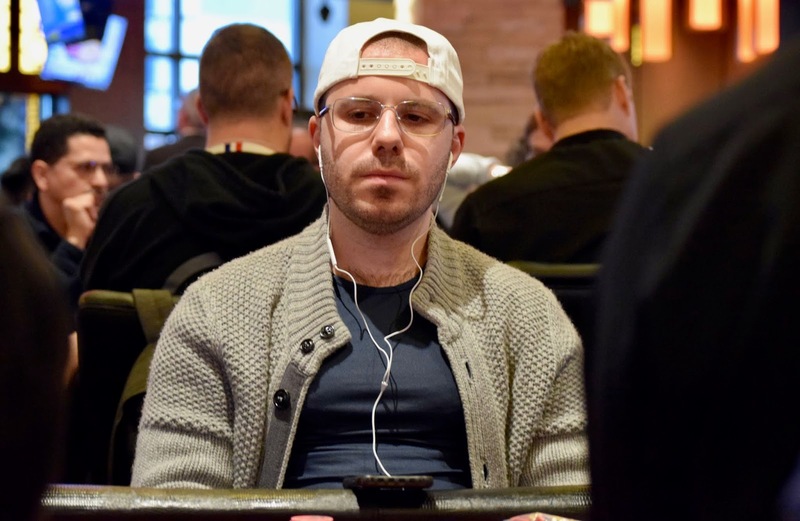 Shooting Star Dan Smith is all in for his last 19,000, called by 'Tall' Paul Richardson. The board goes [5s][4d][Td][8c][9s] and Smith moves back to starting stack. 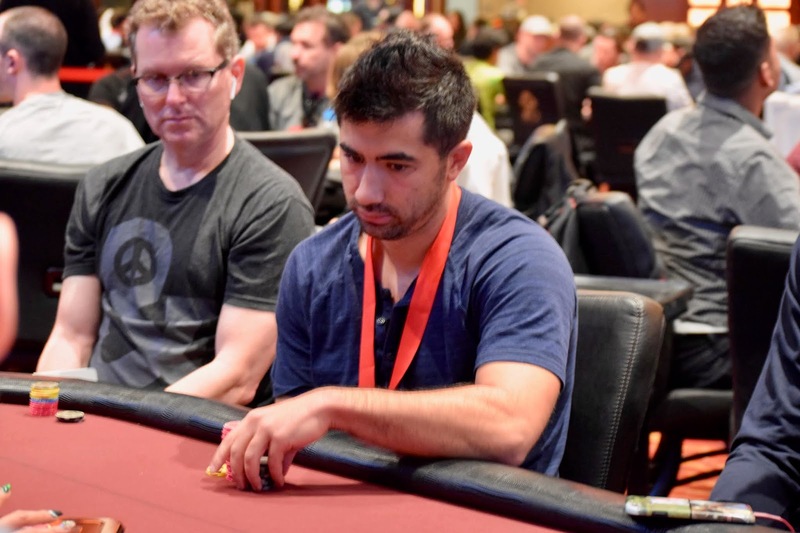 Todd Brunson is all in preflop for 29,200, and Hiroaki Harada has him covered. Here is a look at their cards. Brunson doubles up to survive with 59,400, and Harada is down to 20,500 after the hand. Here's a look at a large batch of players from tables 25-26 and their kind'a sort'a estimated Level 5 chipcounts. 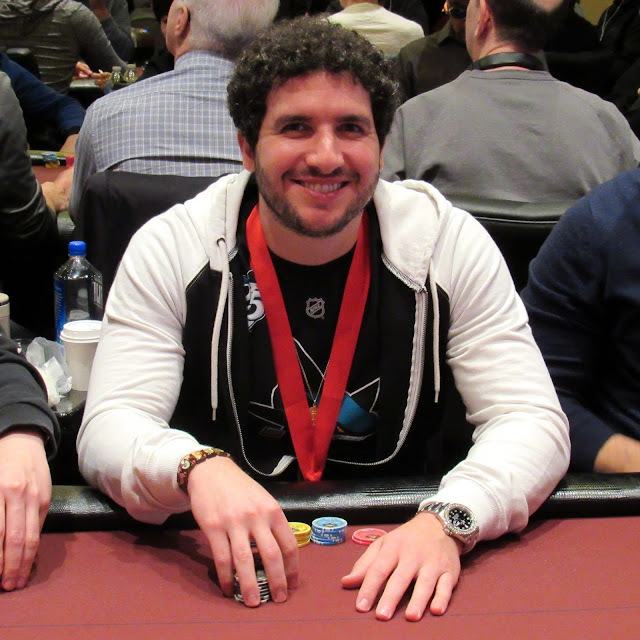 Dan Shak moves all in for 12,500 and finds a caller in LAPC One Million champ Josh Prager. The board runs out [4c][Kc][Js][8s][6c] and Shak's Aces avoid being cracked. Here is a look at some the notable chip counts in the field. Shooting Star Kitty Kuo is all in for 10,900 with [Ad][Ah] in the hole from the big blind, and her opponent has her covered holding [As][Qc]. The final board reads [Ac][3s][2s][2c][7d], and Kuo doubles up to survive with 22,500. Here's a quick look at chipcounts for the bounties seated at tables 25-26. 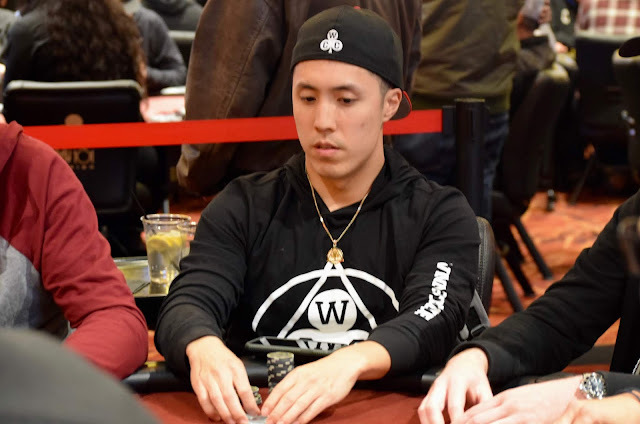 Someone needs to tell Kyle Kitagawa that flopping a set four times in three levels should result in a big pile of chips. Well, when you lose the first three times you flop a set, you need that fourth right before break to work your stack back up to 26,000. 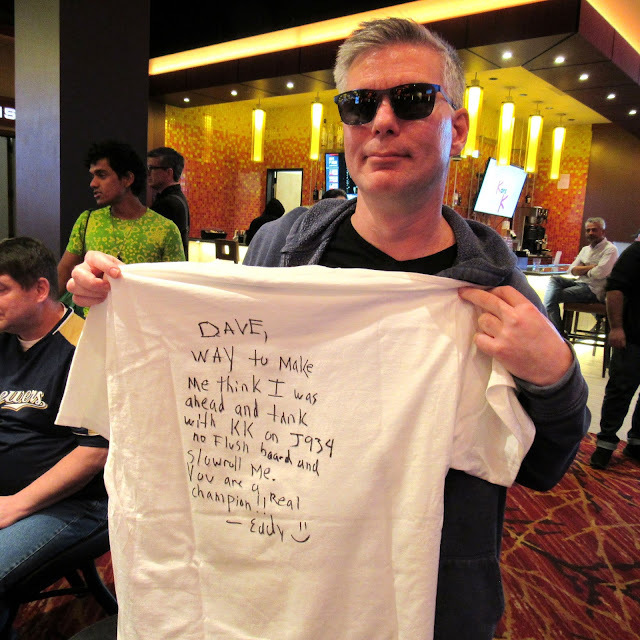 Eddy Sabat is the first bounty to be eliminated when his ace-jack failed to improve against Dave Forster's pocket kings, all in on a J-9-3-4 board according to Eddy's bounty shirt shown below. From the cutoff, Chris Moorman bets 700 into an 1,800 pot on a [8d][8h][4h] flop and his opponent on the button makes the call. Both check the [2h] turn, but Chris fires 2,100 on the [Jd] river. 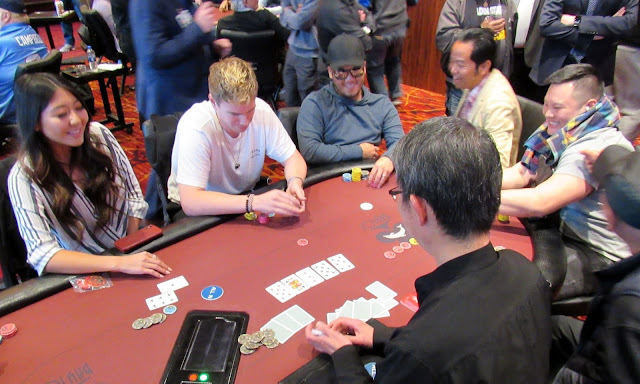 His opponent takes his time but eventually folds, giving a small pot to Chris and padding his stack to 43,800. 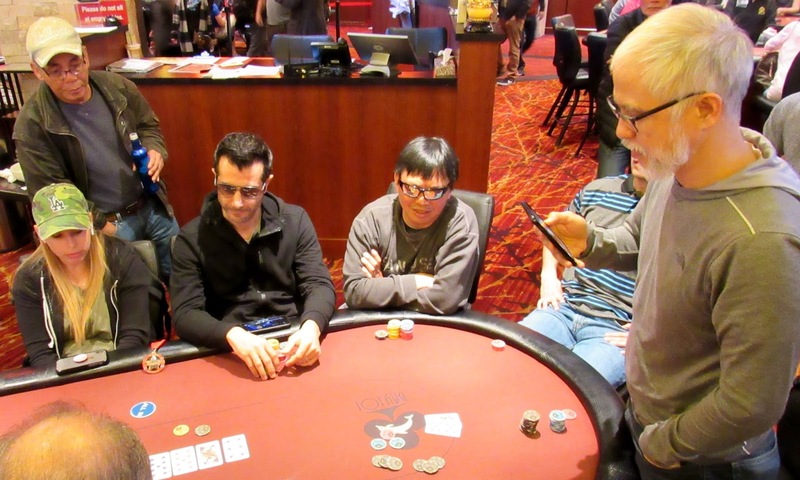 Phil Hui raises to 600 preflop UTG+1, and John Esposito reraises to 1,200 from the hijack. Hui calls before the flop is dealt [Ks][Qc][6d]. Both players check to the [3s] on the turn, and Esposito bets 1,100. Hui calls before the river delivers the [Kh]. 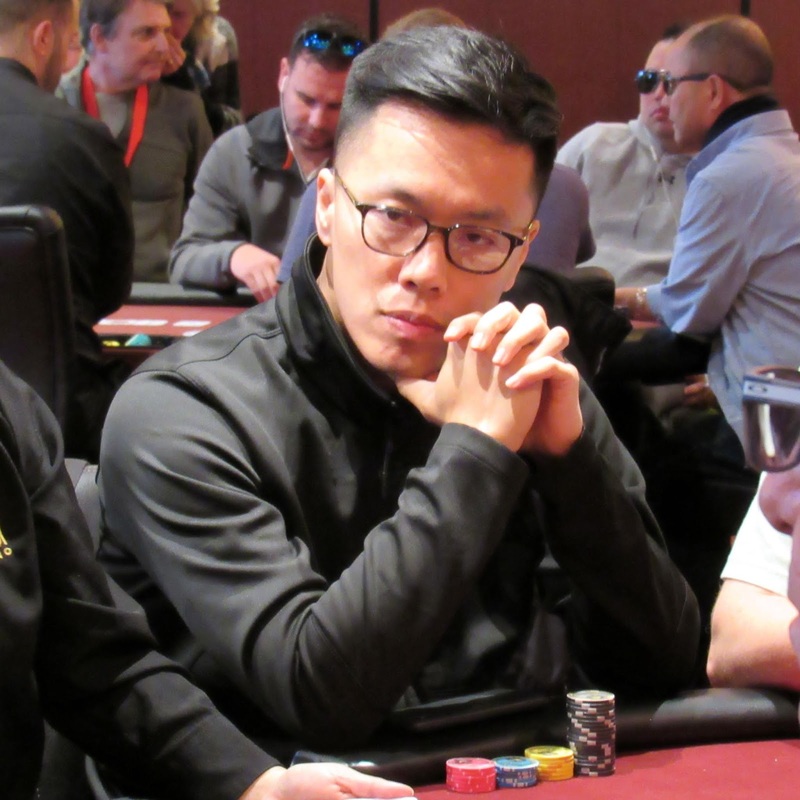 Hui bets 2,200, and Esposito folds his cards. Cards are in the air for the $5,200 Shooting Star Main Event. 300 players are seated with a long list of alternates standing by to get in the game when a seat opens. Players start with 40,000 in chips and blinds are 100/200 with a 200 bb ante to start. The button will start in seat 2. Levels are 40 minutes for the first 9 levels today, and then 60 minutes for levels 10 & 11 and for all of the levels in Day 2. Day 1 play is estimated to conclude at 6:45pm (there is no dinner break). Click here to view the full structure.